Make radiance a badge of honour for your skin. Turn relaxation into a force for beauty. Discover the new AQ. 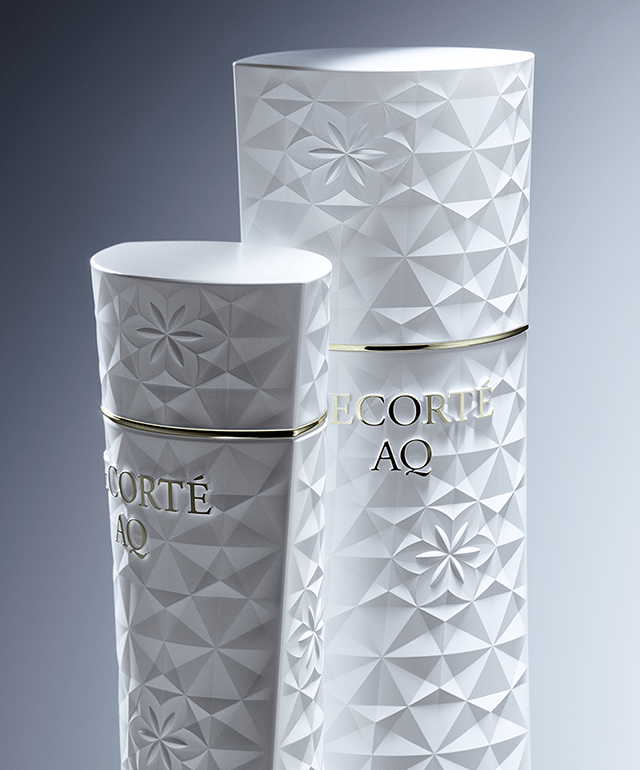 DECORTÉ AQ’s mission is to unlock the potential of each and every woman and bring out their own unique beauty and elegance. It’s the ultimate in relaxation, resonating both in the skin and mind. Based on the concept of holistic beauty, AQ has taken a step further into the intricate workings of the mind to focus on skin responsiveness. DECORTÉ comes from the French word décoration meaning a decoration or medal. This name reflects our dedication to bringing out your inner beauty and making you even more radiant. 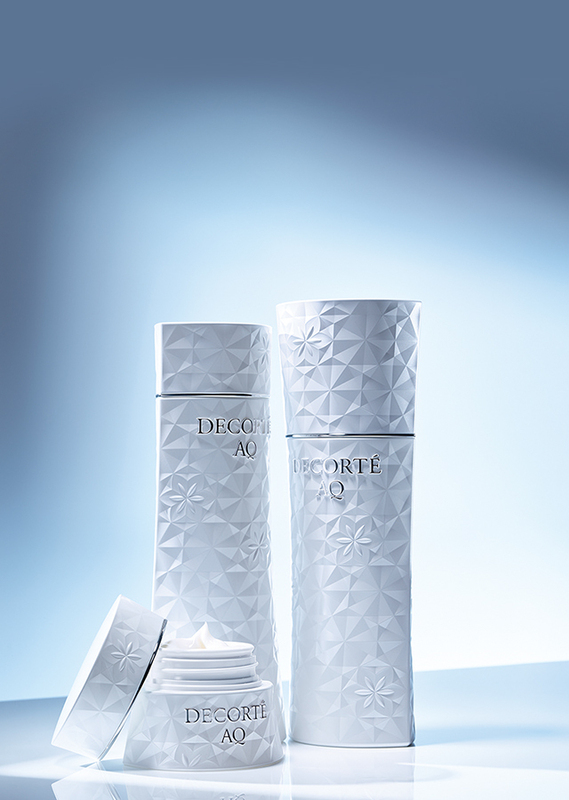 The new AQ brings you relaxation and makes radiance a badge of honour for your skin. our products evoke a blissful sense of love for your skin, while awakening the potential for beauty that lies deep within. That beauty is a firmness and suppleness that comes from within and a radiance that seems to glow from inside, full of vitality. Every woman has noticed this. We focused on the mechanisms behind this phenomenon. it has a greater sensitivity, and is best equipped to be at its most beautiful. To create this state, we make effective use of relaxation to bring your skin the ultimate in radiant beauty. AQ transforms relaxation and the joy of skincare into beauty. with products that provide the ultimate skincare performance. The most important thing to us is the instinctive pleasure felt by the skin and the mind alike. 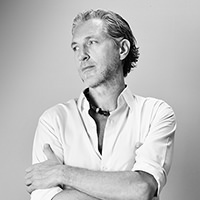 we seek to create just the right fragrance and textures to enhance those effects. you’ll feel a sense of comfort as you are surrounded by the delicate fragrance. As you apply the product to your skin, the rich texture will feel as if it is melting into your soul. The product is absorbed perfectly, as if your skin has been longing to drink it in. it will leave you full of anticipation about what your skin will look like tomorrow. each time you see its effects, your love for your skin will grow deeper. * Within DECORTÉ. AQ contains plant extracts that give skin a radiance saturated with vitality. 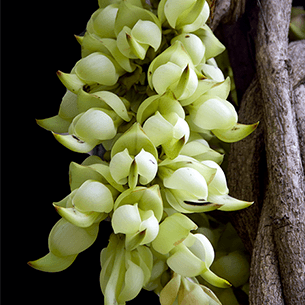 Like White Mucuna Extract, which enhances skin's responsiveness for total relaxation, resulting in better healing capabilities. The rare sap of white birch trees is rich in natural minerals and amino acids. Its concentration is particularly high, combined with an extract packed with the effects of white birch bark, a foundational ingredient for AQ. 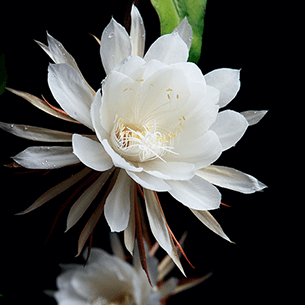 AQ recreates the scent of the night-blooming cereus said to only bloom once a summer's night. Its elegant fragrance is accented by a special soothing scent brings relaxation to your senses. Our packaging has an elegant, engraved appearance that express the modern woman in abstract form. The gentle, beautiful curves of the containers represent the form of the body, and the “eye” shape as seen from above evokes the determination of modern women. The surface is decorated with a pattern resembling crystals and cut diamonds, expressing both boldness and luxury at once.